You don’t need a large backyard space to enjoy a placid water retreat. 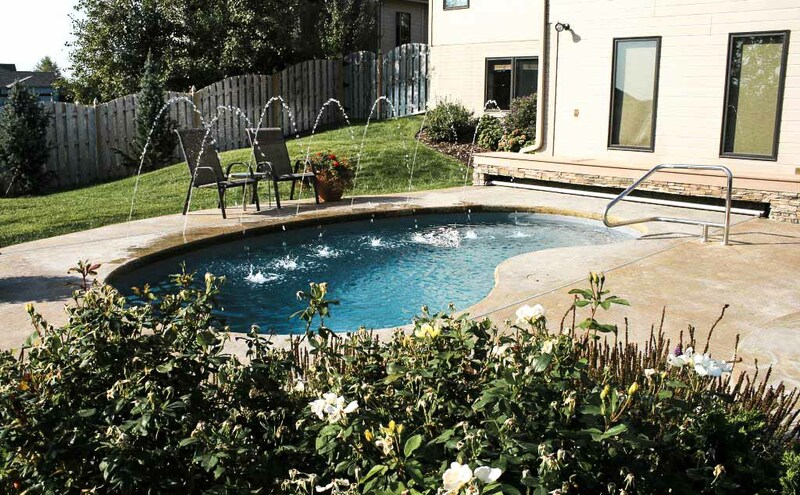 This 10′ x 20′ curvy fiberglass pool fit just perfect! 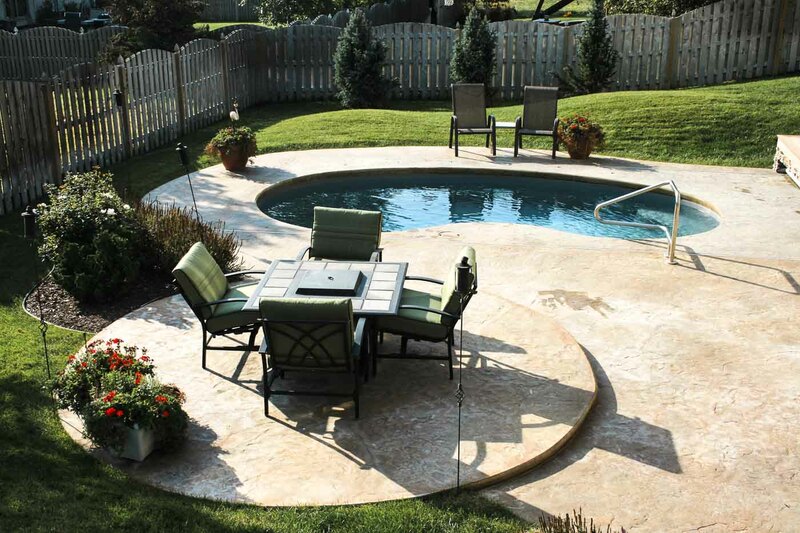 A stamped concrete makes for a more unique looking and feeling pool deck. 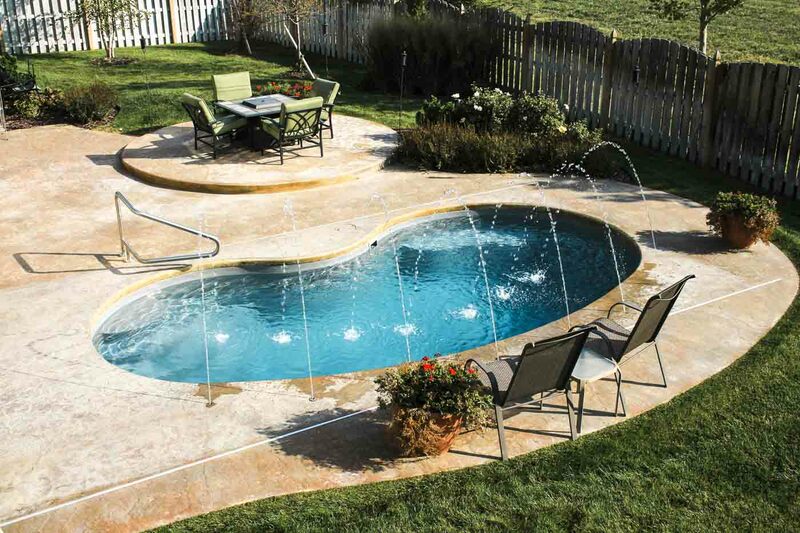 Water streams into the pool cause an enjoyable sound for anyone anyone in the backyard. The auto cover keeps the pool clean when not in use, and the pool-end bench keeps the auto cover hidden when it’s not in use. Raising the patio slightly accents the circular outdoor dining area.